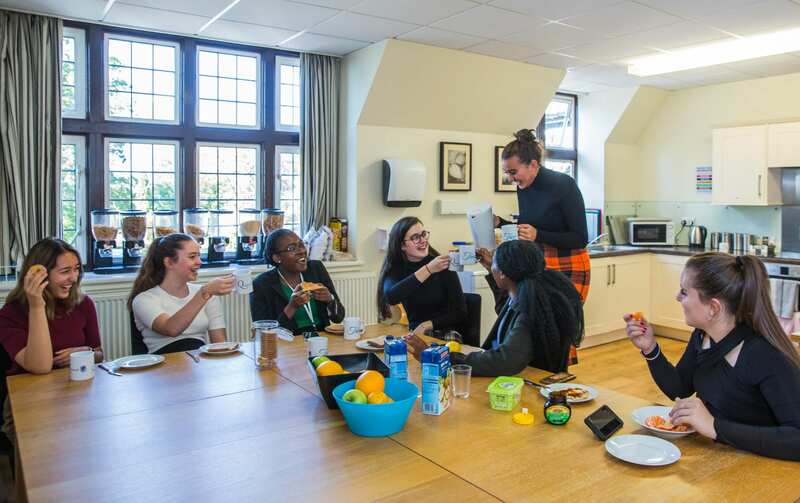 The pace of life in the Sixth Form is relentless – study groups, lectures, an even wider range of co-curricular opportunities – and the majority of Sixth Formers at Queenswood choose to board. Both day girls and boarders benefit from our stylishly appointed accommodation and social facilities. Lower Sixth boarders either occupy a single study-bedroom or share with one other girl, whilst Upper Sixth boarders have their own single study-bedroom. Fully equipped kitchens and common rooms offer a relaxing place to unwind during free periods and out of school hours. 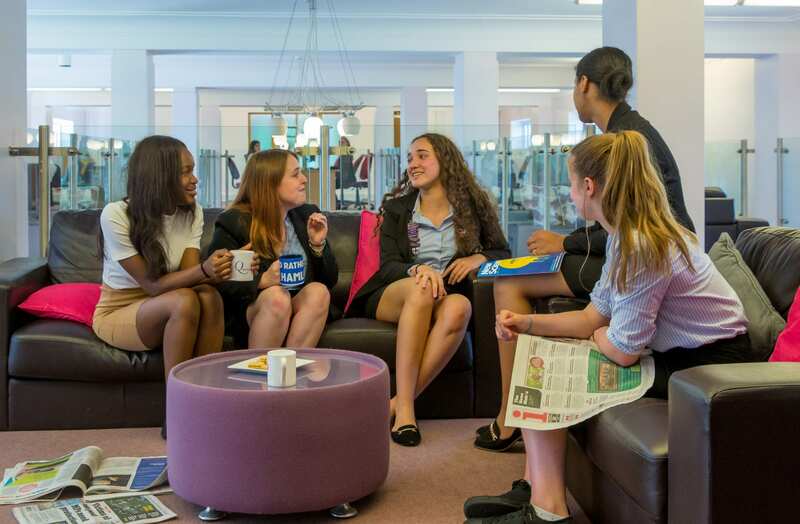 All Sixth Formers also have access to the Bellman Sixth Form Centre, a multipurpose facility in which girls can study or socialise with friends.